The mental health literacy of parents may be critical in facilitating positive child and adolescent mental health outcomes. The purpose of this study was to develop, pilot, and evaluate a targeted parent mental health literacy intervention through community sports clubs. Sixty six parents (Mage = 44.86 ± 5.2 years) participated in either a brief mental health literacy intervention workshop delivered through community sporting clubs (n = 42) or a community-matched control group (n = 24). Participants’ mental health literacy was assessed at baseline, post-intervention and at 1 month follow-up. A mixed methods process evaluation was conducted with intervention participants to determine the acceptability and feasibility of the intervention. Participants in the experimental group showed greater increases in depression literacy, anxiety literacy, knowledge of help seeking options and confidence to assist an adolescent experiencing a mental health disorder, compared to those in the control group. Post-intervention changes in the experimental group were maintained at 1 month follow-up. A mixed methods process evaluation revealed that parents found the intervention content engaging, relevant to their needs, and practically useful in terms of actively supporting adolescent mental health. 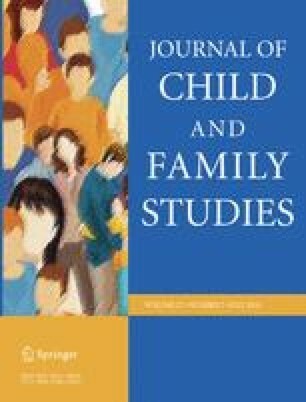 Findings provide evidence that a brief, targeted intervention through community sports clubs might be a particularly useful method of improving parental mental health literacy and facilitating positive youth mental health outcomes. Adolescence Family Mixed-methods Well-being Youth sport. This work was supported by the Movember Foundation [The Australian Mental Health Initiative 2014]. D.H. designed and executed the study, ran the data analysis and wrote the paper. M.S.A. collaborated with the design, writing and editing of the study. C.S. collaborated with the design, writing and editing of the study. A.D.O. reviewed a draft of the paper. S.A.V. collaborated with the design, writing and editing of the study. All procedures performed in studies involving human participants were in accordance with the ethical standards of the institutional research committee of the University of Wollongong, Australia and with the 1964 Helsinki declaration and its later amendments or comparable ethical standards. Smith, B., & McGannon, K. R. (2017). Developing rigor in qualitative research: problems and opportunities within sport and exercise psychology. International Review of Sport and Exercise Psychology, 1–21. https://doi.org/10.1080/1750984X.2017.1317357.